Please get Jason Ma’s bio from our People page, and feel free to contact us by email. 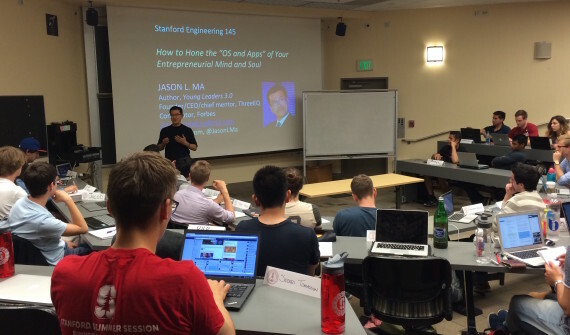 Jason Ma’s masterclass, “Leadership 3.0: Mentoring and Transforming (Increasingly Intergenerational, Diverse, and Multicultural) Teams Worldwide For Success,” in person for enterprises is described here. Depending on your group, consider getting at least one corporation, foundation, or high net worth individual to sponsor the event for win-win. As another option, Ma’s speaking fee can be partially paid by the bulk purchase of Ma’s book Young Leaders 3.0. Let us know how many copies your organization wants and we’ll provide you with a quotation, including special discounts. To invite Jason Ma for a speaking engagement, you can either directly contact us, providing the following information, or work through a top speakers bureau which represents Ma (listed on our People page). We look forward to working with you. Thank you! Under the Sample Videos and Testimonials section below, you will find Jason Ma’s Upcoming Speeches section (a partial list) and Past Speaking Engagements section. You can also see these upcoming and recent speaking engagements on the lower left of the ThreeEQ homepage. 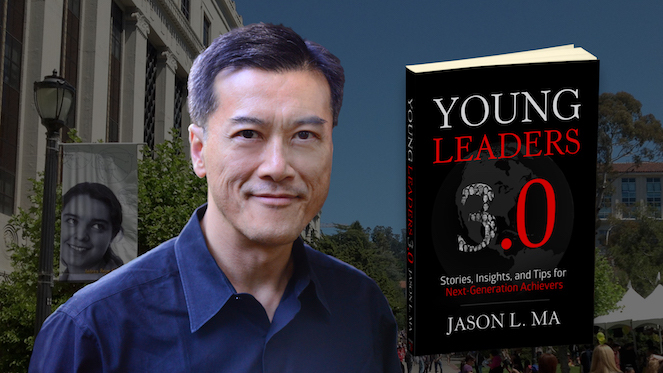 Young Leaders 3.0: Stories, Insights, and Tips for Next-Generation Achievers by Jason L. Ma is a critically acclaimed and inspiring book for all ages. With gratitude, Ma made this book with 23 exemplary 17-to-24-year-old Gen Z and Millennial leaders as chapter contributors. More sample videos are shown below. Unfortunately, some high-powered corporate and business private events aren’t allowed to be publicly shown. Ma’s speaking and masterclass engagements routinely generate inspired and enthusiastic responses from the audiences in the United States, Asia Pacific, and Europe. 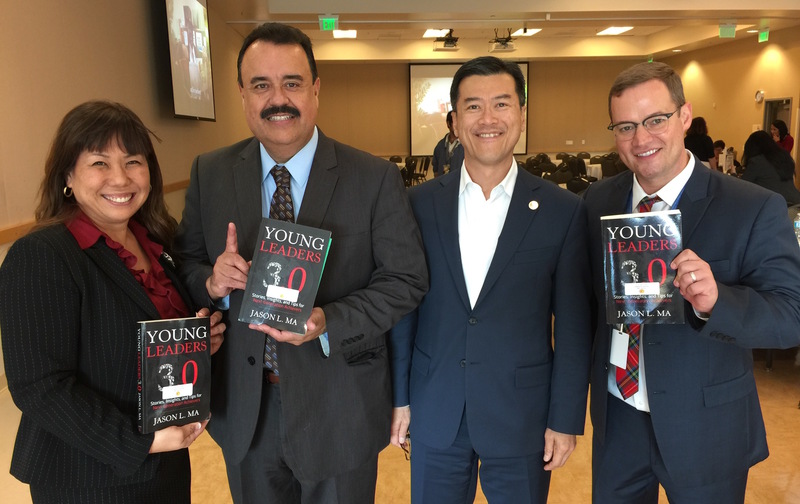 Watch Jason Ma’s Keynote about Young Leaders 3.0 at an LAUSD Principals Meeting (2) in 2015. The Los Angeles Unified School District (LAUSD) is the second largest of 13,500 K-12 school districts in the United States. The Local District’s Superintendent, 160 school principals, and administrators were present. (2-minute video snippet). The following are some of the fireside chats and media interviews with Jason Ma. Watch Channel NewsAsia’s Interview with Jason Ma on Shaping Young Leaders for Its “C-Suite” Show. Watch The Star Online TV’s Interview with Jason Ma on Chinese Investments Overseas. This interview took place right after Ma’s speaking engagement at the World Chinese Economic Summit 2016. Jason Ma as the featured fireside speaker in a private CEO event. >> VIDEO: Watch the 19-Minute Interview. >> RADIO: Listen on iHeartRadio (10:00 to 30:00 in the Episode).